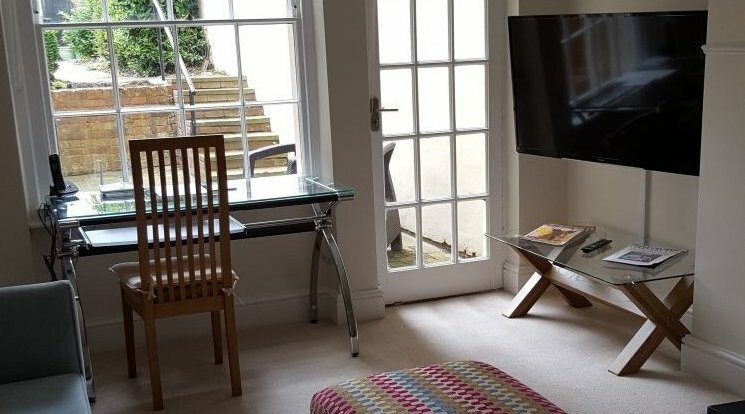 This contemporary apartment has its own front door and 1095sq ft. garden with a parking space. 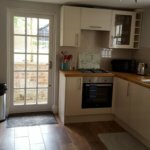 Facing south-west the lounge and kitchen are the perfect places to relax and dine. 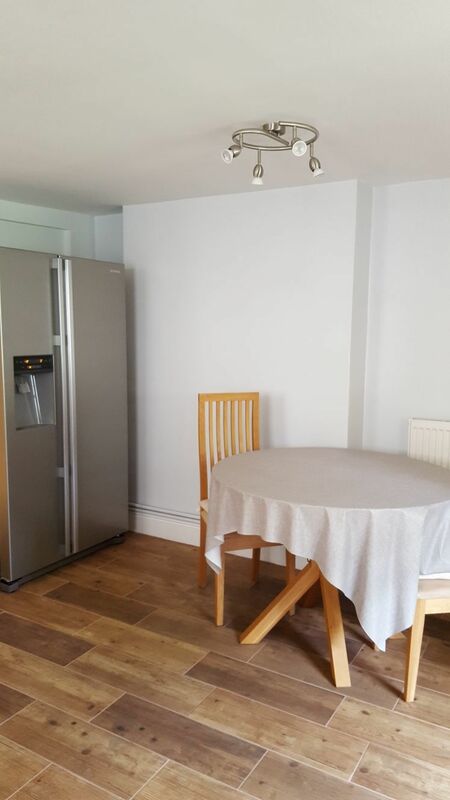 The kitchen diner boasts an American fridge/freezer and utility area. 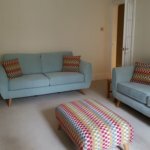 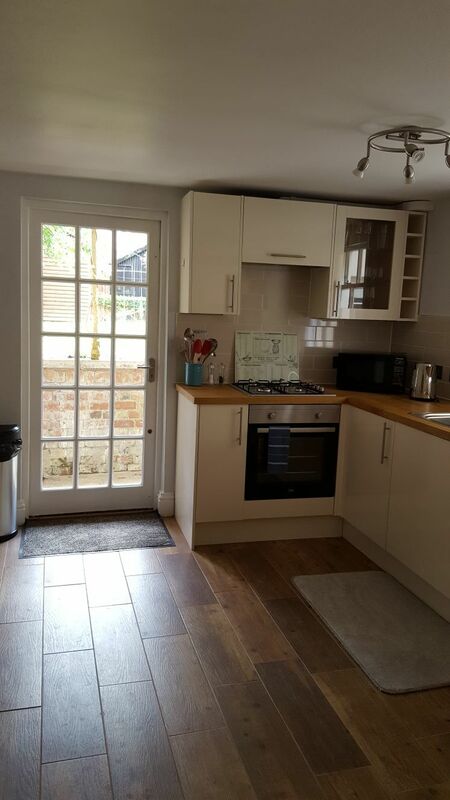 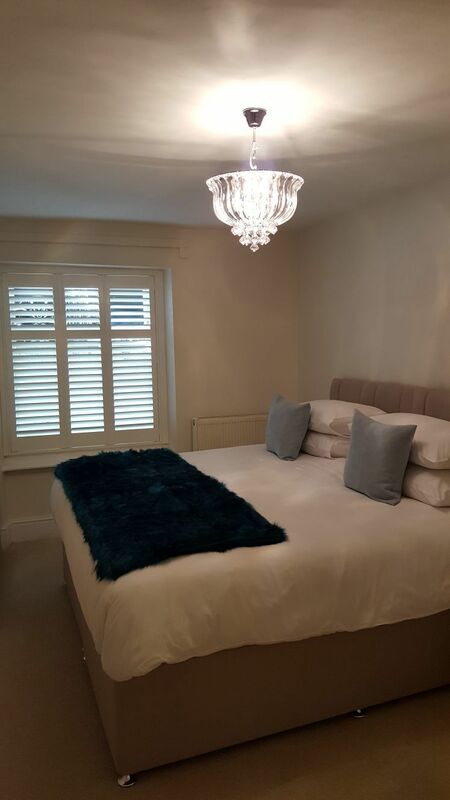 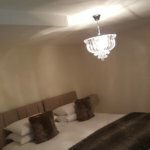 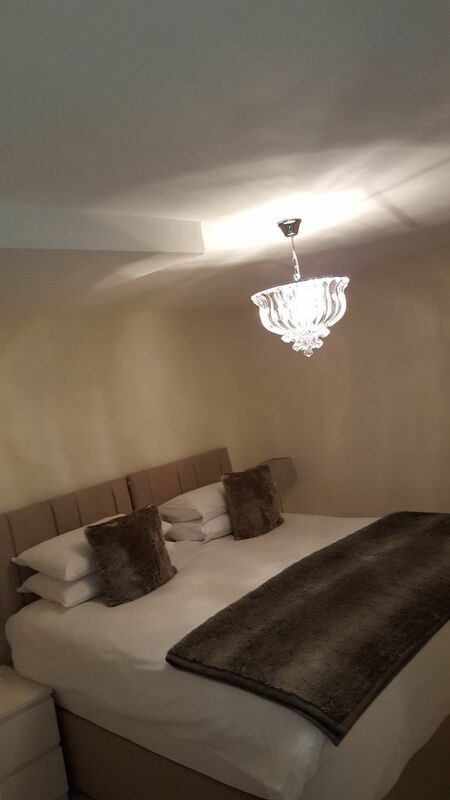 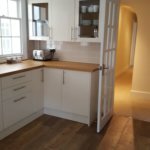 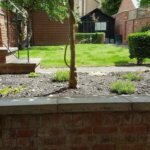 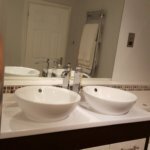 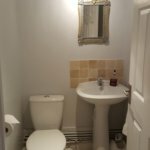 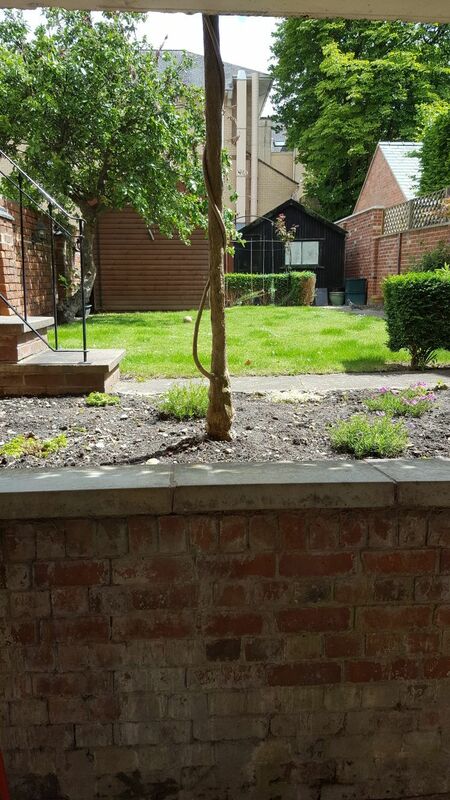 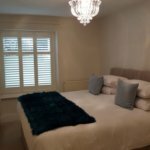 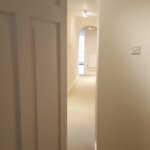 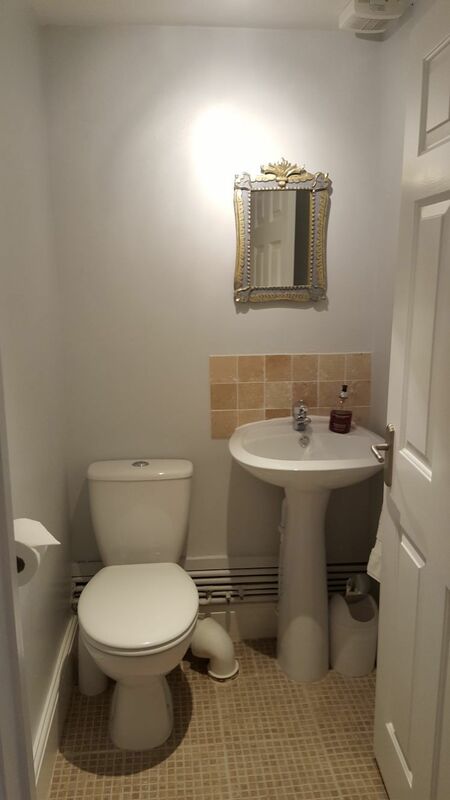 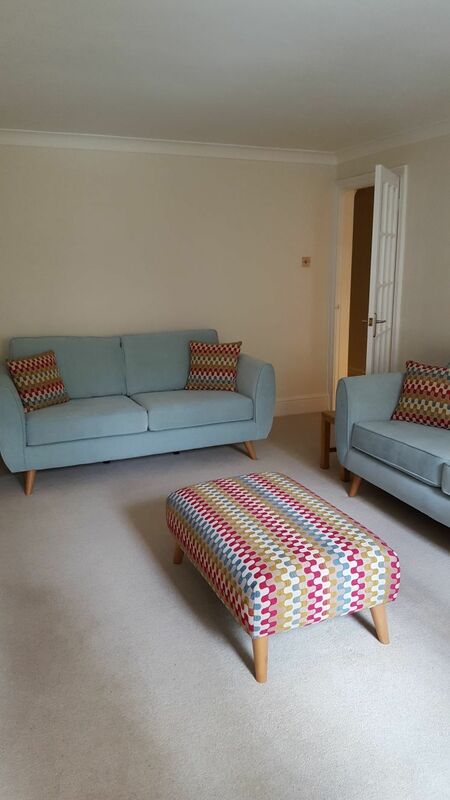 2 double bedrooms both with zip and link beds which can be made up as supering doubles or 2 singles, bathroom and cloakroom. 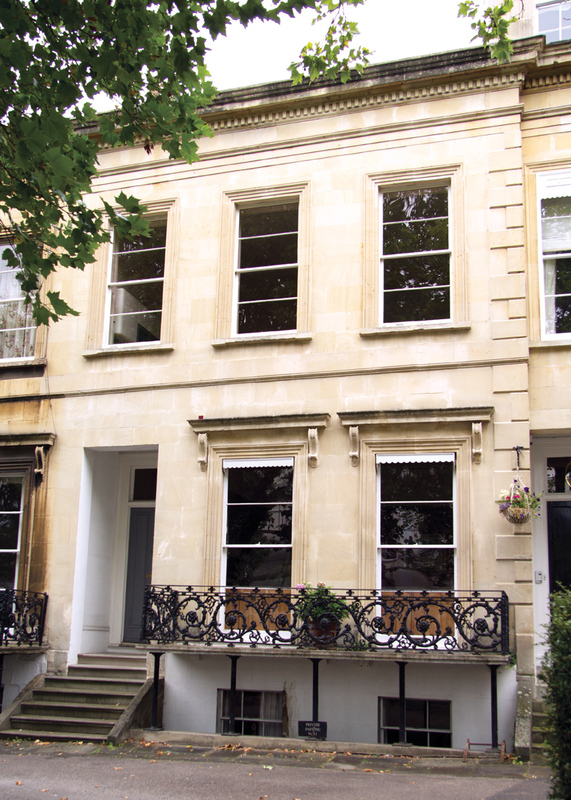 13 Royal Parade, Cheltenham, GL50 3AY in one of the best locations in the heart of Cheltenham, is a fine dressed stone Regency building with its own private access road. 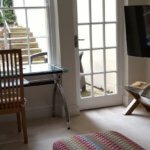 Situated within a few minutes walk of both Montpellier and the fabulous Promenade you'll be spoiled for choice for places to go and things to see. 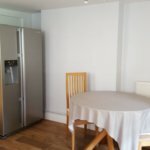 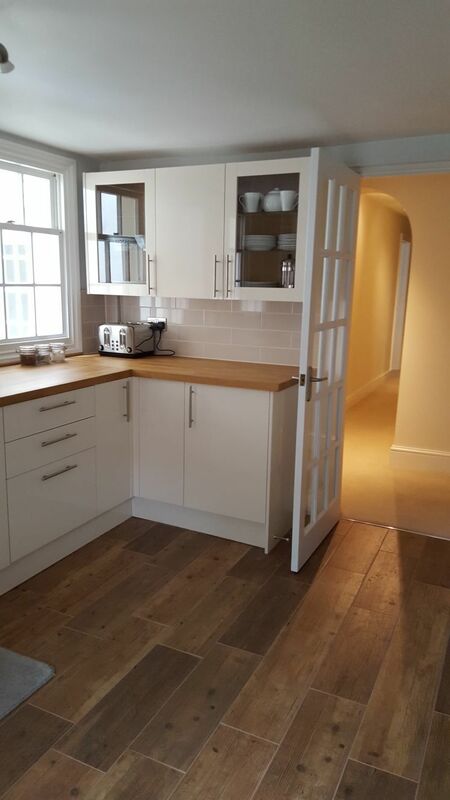 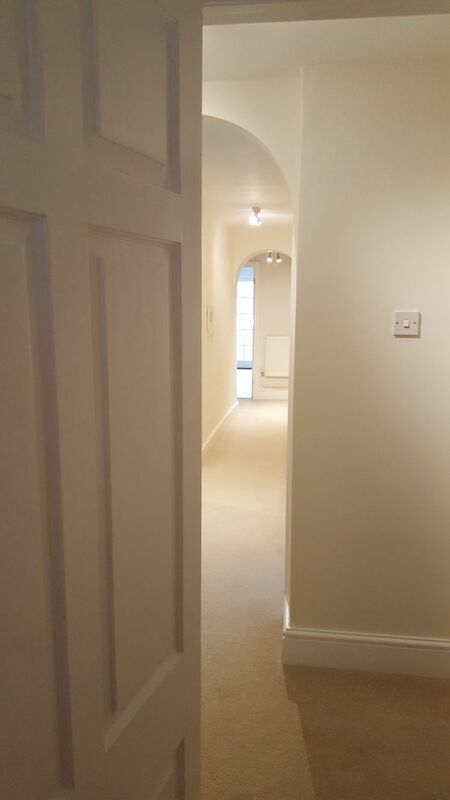 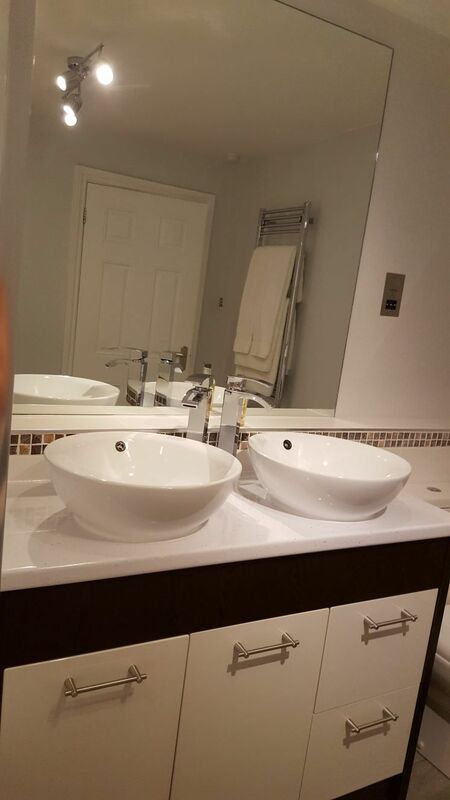 These apartments are fully serviced, making them the perfect home away from home for anyone needing a place to stay in Cheltenham.